There’s nothing subtle about the relationship between Ace Magashule and son Gift Magashule and the Gupta family. 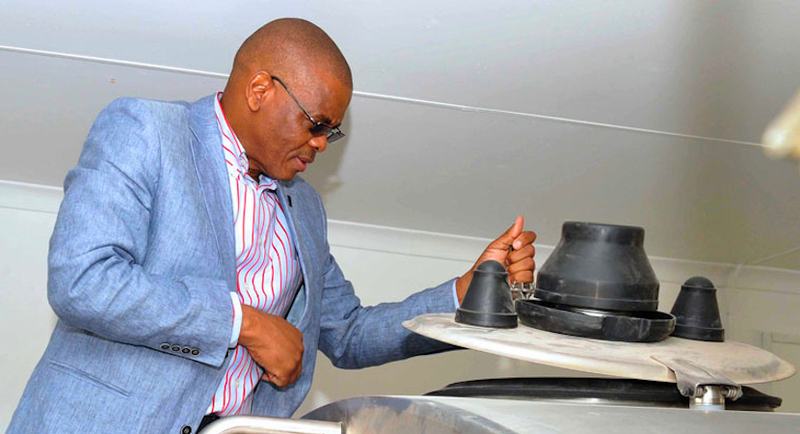 In a quid pro quo relationship, Magashule’s family facilitated access to government letterheads and other political favours in exchange for jobs, cash and trips. The Gupta family took international holidays with members of the Magashule and Zuma families, too. Details of how the Gupta family groomed Magashule and sons are contained in the #GuptaLeaks. Correspondence indicates that the Gupta family cultivated the Magashule sons in much the same way that they worked on bringing Duduzane Zuma into the net – only they didn’t think the Magashules were worth as much money as the Zumas. 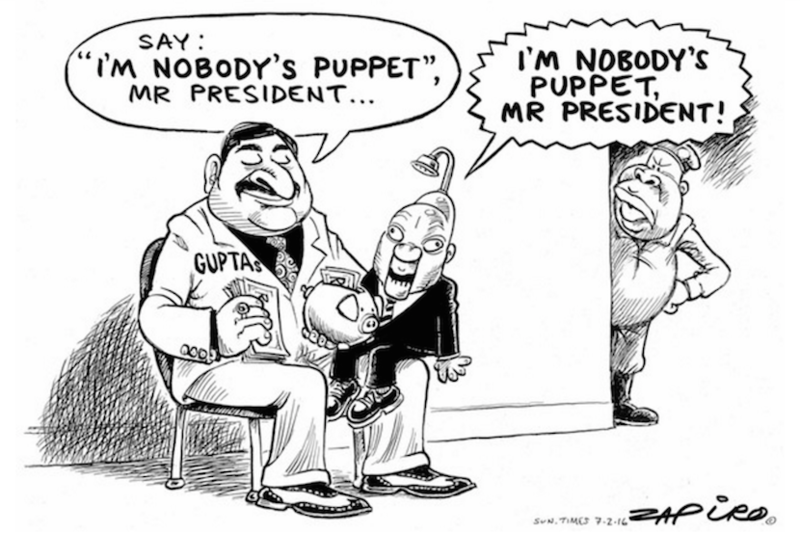 Gift Magashule has allegedy been working for the Guptas for about seven years, while Duduzane Zuma has been on the payroll for a little longer. Magashule was earning a monthly R90 000 while Zuma junior was drawing a monthly salary of R300 000, it seems. The revelations are contained in the #GuptaLeaks, a trove of data leaked from the heart of the Guptas’ business network. The leaks offer details on what appears to be the Guptas’ modus operandi for locking-in political loyalties, say the amaBhungane journalists who have been trawling through the data to develop the details of the state capture strategy that has played out in South Africa. “In much the same way that Duduzane Zuma was apparently groomed, the #GuptaLeaks suggest that Magashule’s sons were similarly primed to become Gupta intermediaries,” says amaBhungane. Tshepiso received support from the Guptas, including a loan of R80,000. Brother Thato Magashule travelled to Dubai in December 2015, where he and Gift stayed at the luxurious Oberoi Hotel for eight days. The hotel sent an AED10,240 (roughly R40,000 at the time) bill for the Magashule brothers’ stay directly to the Guptas’ Sahara Computers. Ace Magashule called in favours for the ruling party through his son. This included demanding payments for mobile phone air time for hundreds of ANC party members, in a shallow attempt to secure votes in 2014 national elections. The attachment contained the names and cellphone numbers of 362 people – apparently all Free State ANC members, says amaBhungane. Zwane did not respond to queries from amaBhungane, while Magashule’s spokesperson said that the premier and the Free State provincial government were leaving the matter to the Hawks – also believed to have been “captured” – to investigate. Gupta lawyer Gert van der Merwe has told amaBhungane that there are moves afoot to “get hold of” the #GuptaLeaks treasure trove. About #GuptaLeaks: Journalists are slowly sifting through the information to build evidence that President Jacob Zuma and friends have embarked on a calculating, wide-ranging and self-serving strategy to unsettle the South African political landscape in order to create access to funds. A daily digest and commentaries on the most important #GuptaLeaks finds are available here on BizNews.